A study recently conducted by the Australian Hearing Association discovered that 90% of the younger generation often look up to seniors for advice in areas such as health and living habits. Another study on Health.com found that as we age, our cognitive powers improve as well. Crystallized intelligence, a term describing our ability to make sense of things by utilizing the transferable experiences in our brains which we have acquired throughout our lifetime, peaks between the ages of 60 and 70. So, while a human brain may be more flexible and quicker in younger generations, a senior’s brain is more capable of taking cognitive shortcuts by connecting previous life experiences to the current task. Often when we think of physical activity, we think of something such as running or racquet sports. However, for seniors, just taking a walk is enough to keep their bodies active. A good option is to take them on a stroll around the neighbourhood. Consider exploring a new area or taking them to the grocery store, where they can shop for their favourite foods! An activity for aging seniors that has become popular within recent years is to walk indoors through a mall. The stable condition at an indoor mall is an advantage over walks around neighbourhoods. While the pleasure of walking outdoors is dictated by the weather and temperature, taking a stroll through an indoor mall provides a consistent activity for seniors regardless of rain or shine. The downside, however, is the lack of fresh air, so consider mixing the two up in your schedule. Gardening is another activity that your at-home senior can consider pursuing. Who doesn’t love some yard work around the house? Do beware of potential injuries such as back pain if your senior is spending long hours in one position around the yard. 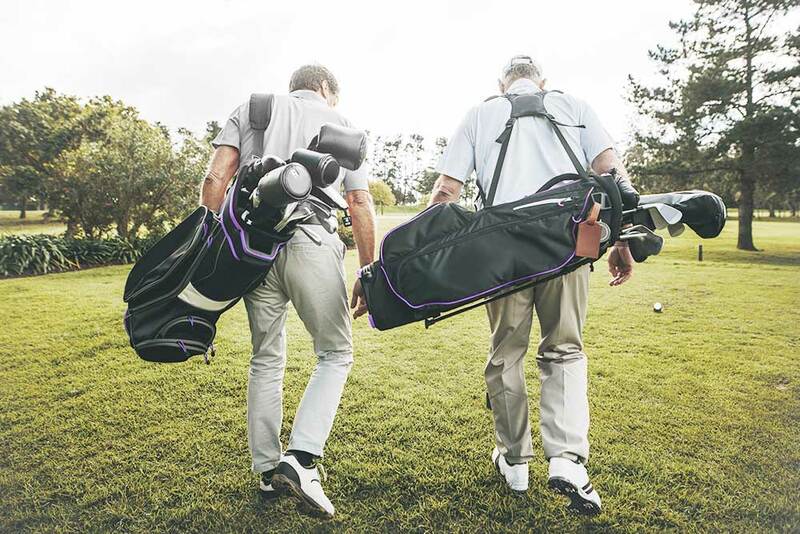 If you have the time or have a caretaker available, consider taking your senior to a golf course. While a golf swing does not necessarily qualify as physical activity, the walk around the course certainly does. Remember not to use a cart or else the purpose of walking is defeated. Realistically, the list of activities a senior can pursue to keep themselves active is endless. Above are just four suggestions out of many; we hope you find them helpful in keeping your senior active. Additionally, on March 23, there is an Active Aging Resource Fair open to all. 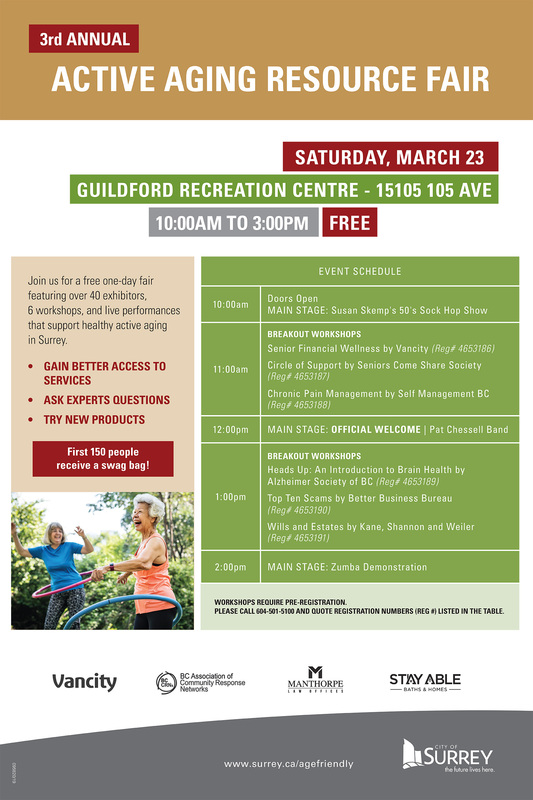 Located at the Guildford Recreation Centre, this free one-day fair features over 40 exhibitors, workshops and activities that support active aging in BC. We hope to see you there!